Book of the Week Book of the Week: A Pick by Christian Michael Filardo Christian Michael Filardo selects High and Mighty by Peter Sutherland as Book of the Week. High and Mighty. By Peter Sutherland. Super Labo, 2010. This week's Book of the Week pick comes from Christian Michael Filardo who has selected High and Mighty by Peter Sutherland from Super Labo. 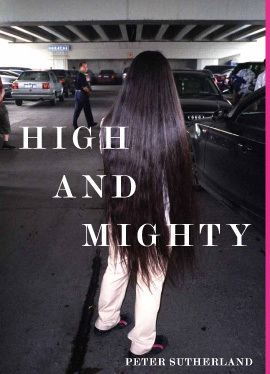 "Peter Sutherland’s High and Mighty is a honed selection of photographs published by Japanese imprint Super Labo. Weed is omnipresent and the aura of smoke seems to cake each frame, offering a residue both unique and timeless. It feels like Sutherland is living fast, like he is changing, disappearing. Traversing a trail smothered in marijuana smoke, he leads us on a journey that is sedated and chaotic. Sutherland offers a dynamic and intimate look into a nomadic punk lifestyle, recalling what it’s like to smoke and stay up late doing just about anything. High and Mighty reads like a new form of urban poetry; a glacier appears parallel a stack of bodega lighters, bleached Wu-Tang Clan shirts to the right of a wild marijuana plant. It’s funny, clever, but not a gimmick. The images feel close, like you could be standing next to Sutherland at times. Sometimes it feels like a party and at other times it feels like a funeral. The close-up nature of the photographs and Sutherland’s apparent ability to control the flash make the images feel genuine, creating an atmosphere both mysterious and inviting. His colors feel warm and soft, reinforcing the feeling of intimacy. Christian Michael Filardo is a photographer and composer living and working in Santa Fe, NM. 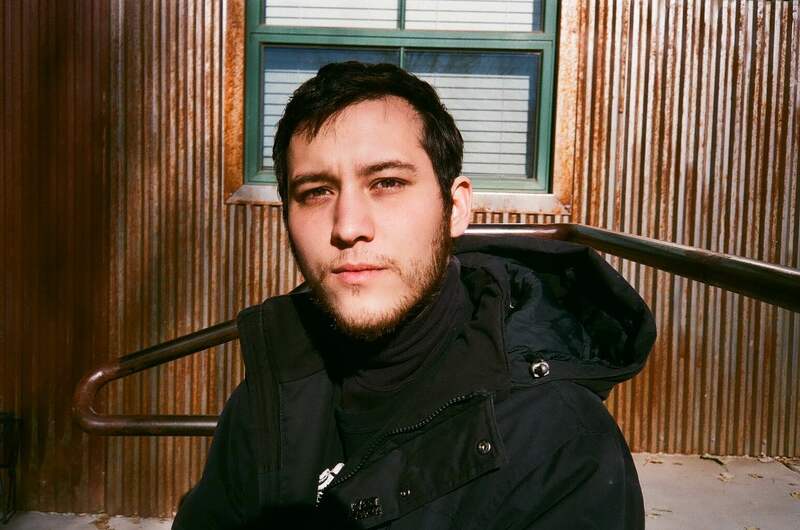 Filardo has worked for VICE Magazine, Believer Magazine, the Phoenix New Times, and is the shipping manager at photo-eye Bookstore. He is a recent recipient of an honorarium in new music from Oberlin College’s Modern Music Guild. Filardo’s first book, Say My Last Name Softly, a collaboration with Marie Claire Bryant, was released in April 2016 on Holy Page Records.